Born and raised in Lexington, Kentucky Thomas Blackburn Deen earned a Bachelor of Science degree in civil engineering from the University of Kentucky in 1951. He then pursued graduate studies at the University of Chicago and in 1956 received a Yale University Bureau of Highway Traffic Certificate. Since his graduation forty seven years ago, Mr. Deen has led a most distinguished professional career. In 1956 he became the assistant city traffic engineer for Nashville, Tennessee where he later served as the director of the Nashville Area Transportation Study. He joined the National Capital Transportation Agency in Washington, D.C. as Director of Planning in 1961. This agency was responsible for preparing the initial plans for construction of the Washington D.C. rail transit system. He was a partner in the renowned planning firm of Alan M. Voorhees, a worldwide leader in urban transportation planning during the 1960s and 1970s. 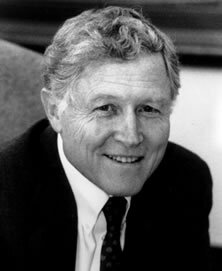 From 1980 until his retirement in 1994, Mr. Deen served as the Executive Director of the Transportation Research Board – the national transportation research organization, and a division within the nonprofit National Research Council of the National Academies of Science and Engineering. Early in his career, Mr. Deen pioneered the development and application of methods analyzing urban transportation problems and designing urban transit systems. Initially, these computer-based methods were used to evaluate and select the lines that today comprise the Washington, D.C. Metrorail system. They have since been used by successive generations of transportation planners to plan and design transit systems throughout the world. As head of Voorhees, the firm prepared plans and feasibility studies for highways, airports, rail systems, and ports in more than 100 cities in 15 countries. As executive director of the Transportation Research Board, Mr. Deen provided international leadership and innovation in transportation research. He presided over the Board’s growth and expansion into new program areas while preserving and enhancing the quality and breadth of its traditional technical activities. He conducted studies that focused on issues such as the 55 mph speed limit, school bus safety, air passenger service and safety, and viability of high-speed rail transportation for application in the United States . Throughout his career, Mr. Deen has taken leadership roles in a number of high profile professional activities. He was chairman of the national committee established to prepare the nations first strategic plan for Intelligent Transportation Systems. In 1999 the governor of Maryland appointed him chairman of a blue ribbon committee examining ways to build a very controversial section of urban freeway through the Washington D.C. suburbs. In 2002 he was appointed co-chairman of a group studying whether and how to build a new Mag-Lev transportation system. In 2004 he was appointed chairman of a national group investigating the causes of a construction failure on the Chesapeake Bay Bridge. In 2006 he completed work as vice-chairman of a committee of the National Research Council making recommendations on how to safely transport spent nuclear fuel to a permanent repository. Throughout his career, Mr. Deen has been an active contributor to the field of transportation research. He is the author of numerous papers and has contributed to many other publications. He has garnered numerous prestigious awards including the Pyke Johnson Award, George S. Bartlett Award, Ronald D. Kenyon Award, P.D. McLean Memorial Award, W. N. Carey Award, and the Theodore M. Matson Award, for outstanding contributions to the advancement of transportation in public interest. In 2003 the Thomas B. Deen Distinguished Lectureship was named in his honor. In 1998 he was elected to the National Academy of Engineering. He is a Fellow of the Institute of Transportation Engineers; a member of the Advisory Board of the National Transit Institute; Rutgers University Board of Trustees; American Public Works Research Foundation; Advisory Committee for the Center for Transportation Studies, Massachusetts Institute of Technology; Board of Regents, Eno Foundation Center for Transportation Education; Editorial Board, Transportation Planning and Technology, Loughborough, England; and many others. In his nomination of Mr. Deen, Robert E. Skinner, Jr., Executive Director of the Transportation Research Board, wrote that Deen “left a legacy of outstanding achievements and innovation. Having the privilege to work closely with him, I have been inspired by the strength of his personal character and commitment, the example of his technical excellence, and his relentless pursuit of ever-better solutions to the problems facing the nation’s, and the world’s transportation systems”. Residing in Stevensville, MD with his wife, the former Bettie Taylor, the Deen’s are the parents of four children, Rebecca L. Deen, Robin E. Reid, Samuel E. Deen and Tomi C. Tucker.